What are boundaries in relationships? Boundaries are the measure by which we allow others to engage with us. If you have weak boundaries, you will likely feel that people are taking advantage of you and treating you in ways that make you uncomfortable. If this is you, I suggest that It may be time to set or reset your personal boundaries. Setting clear boundaries is something that I feel most of us fail to do, which is why we find ourselves accepting whatever someone chooses to dish out. As a professional speaker and subject matter expert, I get requests to speak and attend events on a regular basis. With the demands of working at a University Counseling Center, hosting The Morning Huddle Podcast, and being active with my family — it’s needless to say that my time is limited. At first, I would accept any and all requests, even the non-paid ones, but after a while of not getting paid and feeling bad about it, I realized that I needed to set a boundary around which engagements I would accept. As a result, I had to set a boundary to only accept speaking engagements after fully vetting them first, and sometimes discussing them with my wife if the engagement interfered with family life. Now I only accept events that line up with my current passions and I have a limit on how many pro bono events I will accept. When thinking about boundaries and which ones need to be set, I recommend that you take some time to reflect on the people, actions, and things that make you feel uncomfortable. I want you to make a list of the top five things that you would like to see changed as it relates to how people engage with you. For example, let’s say your best friend only calls when they need a ride somewhere, or only calls to ask to borrow money. Perhaps that person just came to mind, if so — good. They need to be on your list. Maybe you have a family member who only calls when they need you to do something for them. Put this on your list. Whatever lands on your list, I want you to be honest with yourself and acknowledge how you feel when you encounter these people or situations. These are the areas in which you may want to set or reset boundaries. A significant part of my work with college students is helping them to understand and set appropriate boundaries. Oftentimes, a college student’s boundaries are non-existent or need to be updated to fit their current situation. Even in the cases where boundaries are set, sometimes they work, and sometimes they are not always effective for various reasons. Why is this? Let’s review the common traits of boundaries and maybe you’ll understand why. Rigid Boundaries indicate that you are very protective of information. People who set rigid boundaries usually won’t ask for help, have few close relationships, and keep people at a distance to avoid rejection. Porous Boundaries is a trait that I see a lot. When a person tells me that they have a hard time telling people no, I detect porous boundaries. People with porous boundaries tend to tell their business with no consideration of consequences. Having porous boundaries can lead to an acceptance of blatant abuse, disrespect, and a fear of rejection if you don’t do what is requested. Healthy Boundaries are what you want to have. A person with healthy boundaries knows what they value and will not compromise on those values. Healthy boundaries prevent you from telling too much information, and healthy boundaries allow you to accept when a person says ”No.” A person with healthy boundaries knows what they want and can communicate those wants effectively. When you set your boundaries, understand that you can use a mix of all of the traits depending on the situation. For example, healthy boundaries are expected in a work environment, but you may need to exhibit a more rigid boundary when dealing with an unfamiliar bill collector asking for personal information. One of my favorite types of boundaries to set are Time Boundaries because time is something that, once spent, is gone forever. Setting time boundaries around work, relationships, and self-care is critical in my opinion. When cousin Keith calls for a ride to the bank and you have a paper to write, having a healthy time boundary allows you to say no, and not feel bad about it because you already have something scheduled. 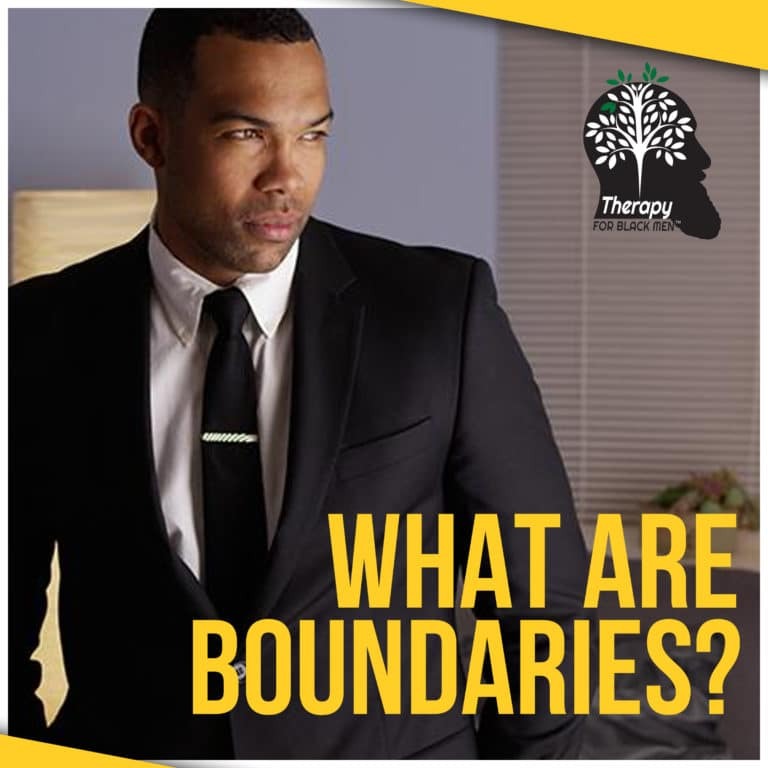 Emotional Boundaries are important to set, especially when in a new dating relationship or any kind of relationship for that matter. Having a healthy boundary in this area prevents you from telling too much personal information too soon. A healthy boundary looks like slowly disclosing personal information as the relationship develops. I cannot complete this article without mentioning Material Boundaries. These include money and your personal possessions. Remember that person who only calls for money? You may feel that it is appropriate to give the money, but if not, a healthy boundary allows you to say no and keep it moving because you already know what’s up. Setting clear boundaries allows you to be more authentic in your dealings with people and situations. Having healthy boundaries also gains you more respect from other people as well. What you will notice is that the people who only want to drain you will eventually go away and will be replaced with people who value your boundaries. Now go set or reset some boundaries and start living your best life.